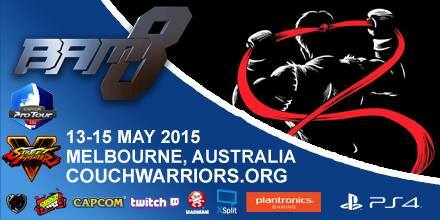 We are pleased to announce as part of our massive 2015 final Ranking Battle our sponsors and prizes. Our top ranked players of the season will receive well deserved medals, but tournament winners and lucky attendees can win fantastic prizes. The Ranking Battle event will be at our majors venue for BAM, CQ Functions, on December 12. Details here, and join us on Facebook here. Thank you to sponsors BENQ, Plantronics Gaming, Elgato Gaming and VR Distribution.